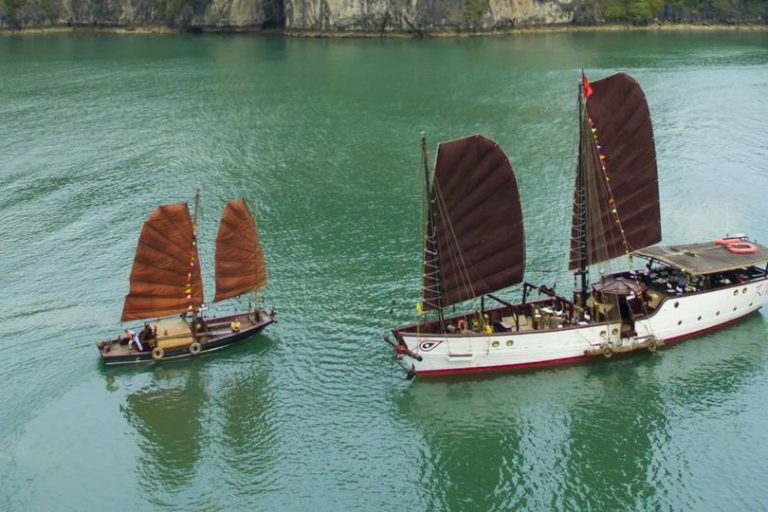 Dragon Bay is a traditional wooden boat, its elegant shape makes it one of the most beautiful boat for day trip excursion on Halong Bay. 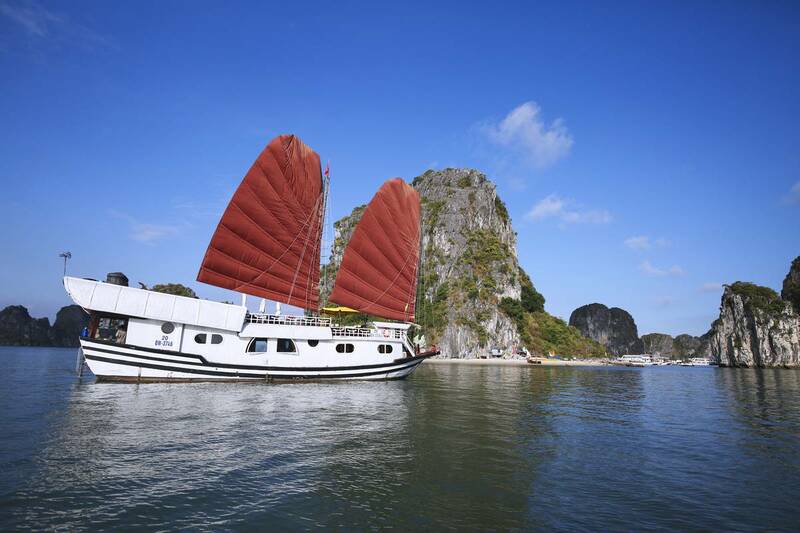 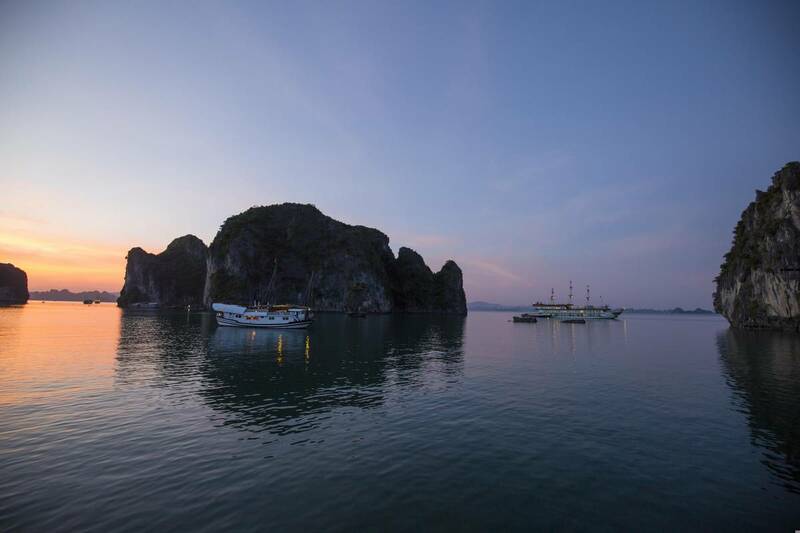 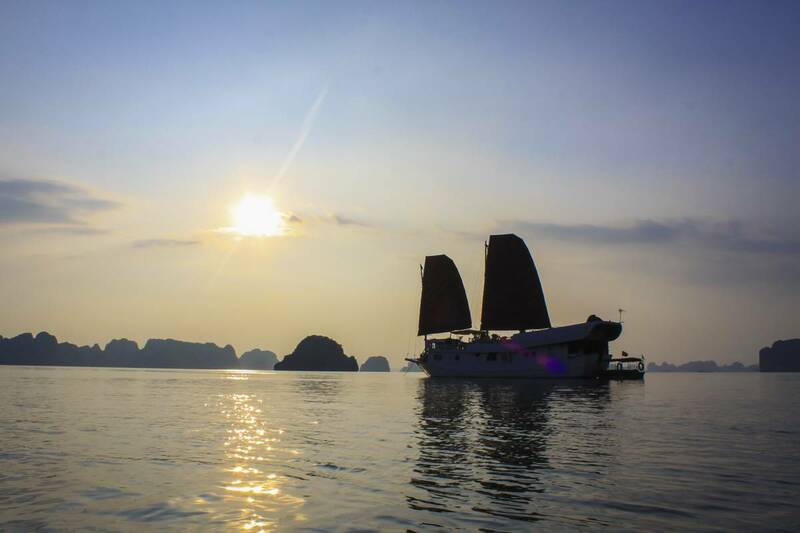 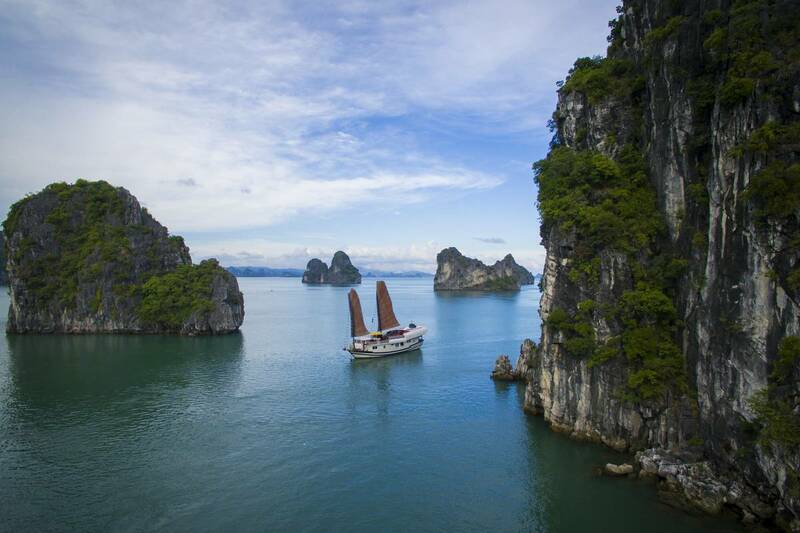 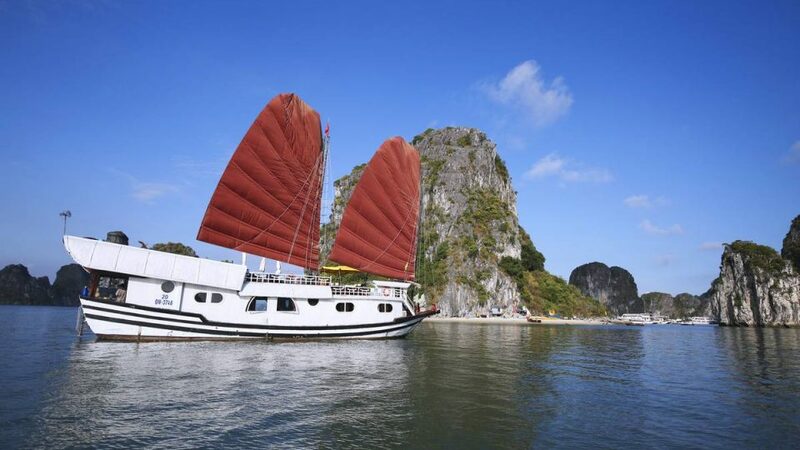 In the old time, Halong Bay is a fishing area with many wooden boat sailing around, Dragon Bay recalls the memory of a traditional sailing boat among thousand limestone islands to take you to the majestic land of sea and stone. 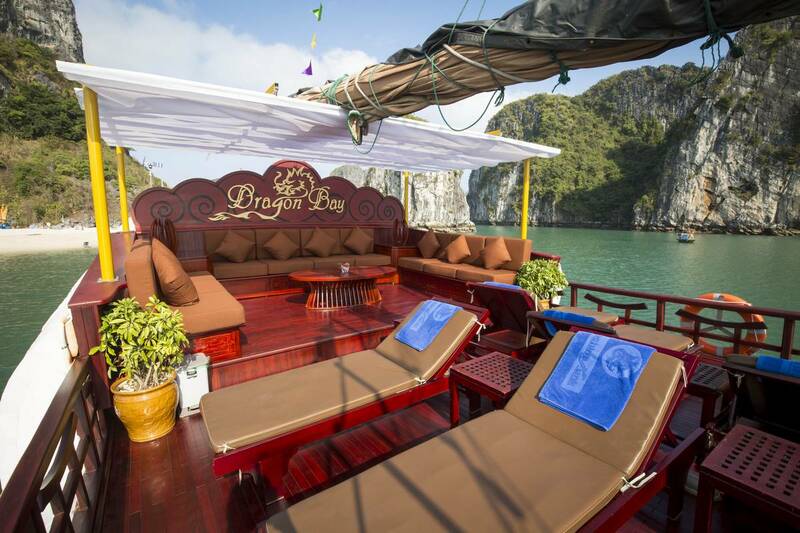 Being a small size boat to accommodate maximum group of 12 persons joining or hire a private boat, Dragon Bay delivers a well catered experience to every single guests on cruising and exploring Halong Bay. 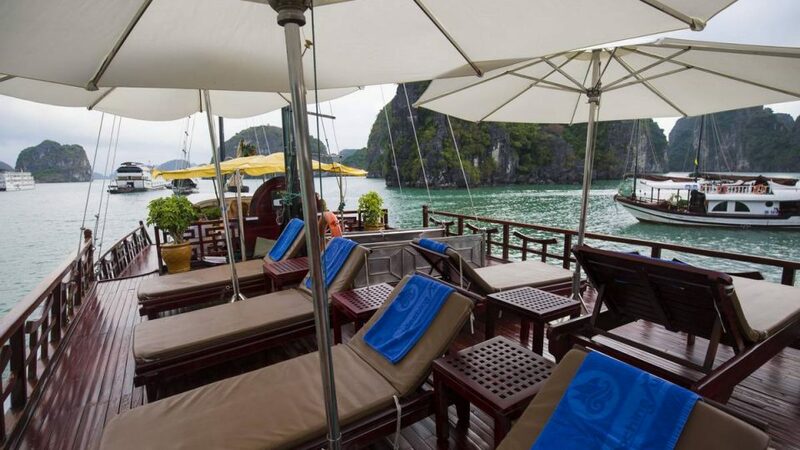 With a limited time cruising the bay, we treasure every minutes of your time onboard to treat you in high service level and warm caring at details. 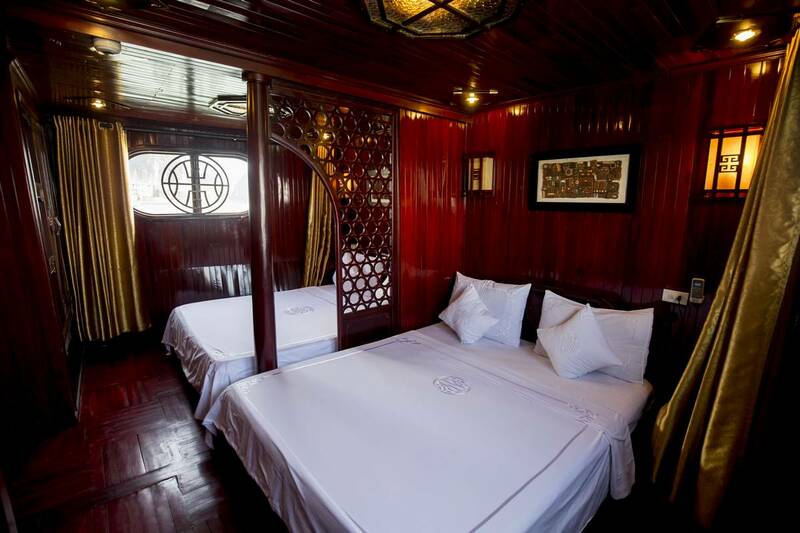 Facility on Dragon Bay boat is also another highlight that we promise to deliver it to our guests. 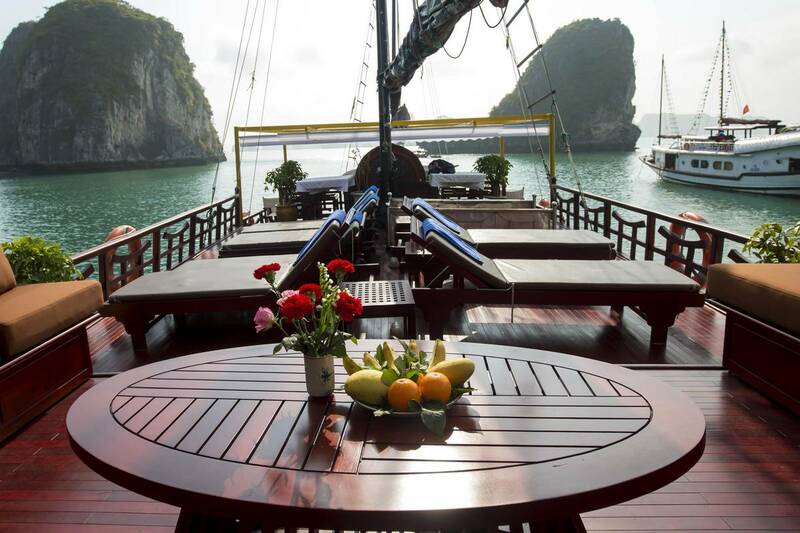 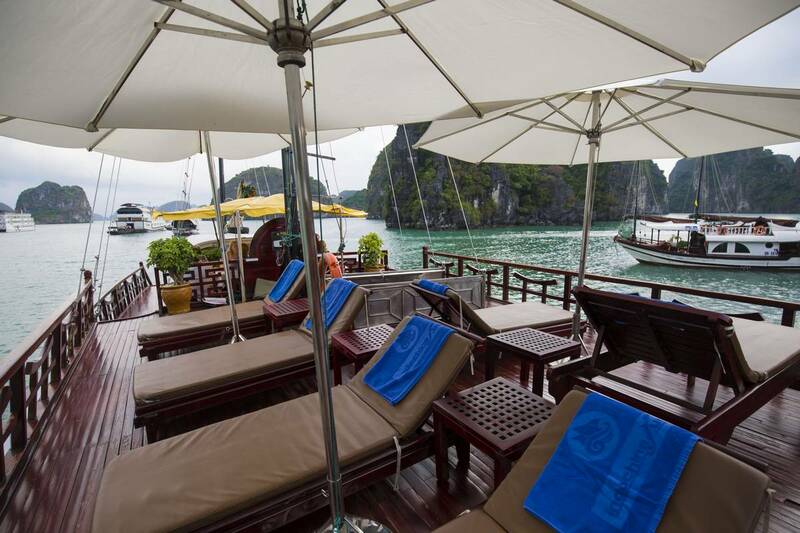 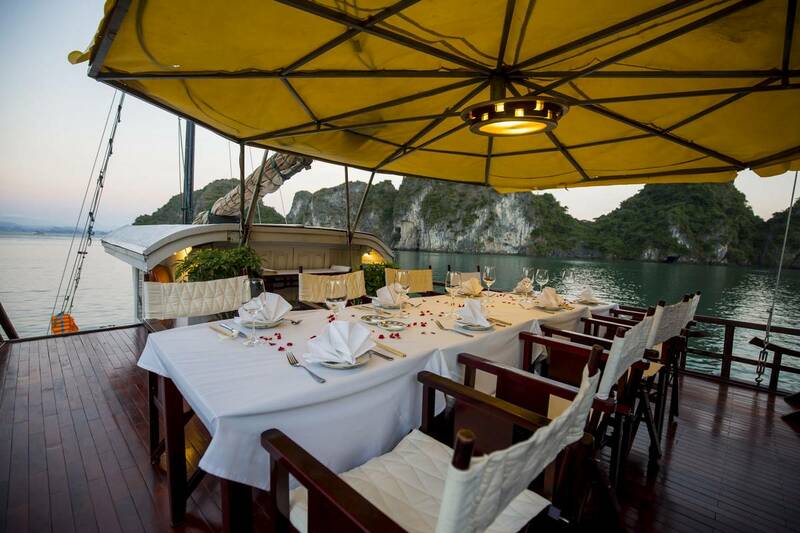 Most of day cruise boats on Halong Bay provides visitors with a limited basic space of dining tables and outside decks but Dragon bay has more than that. 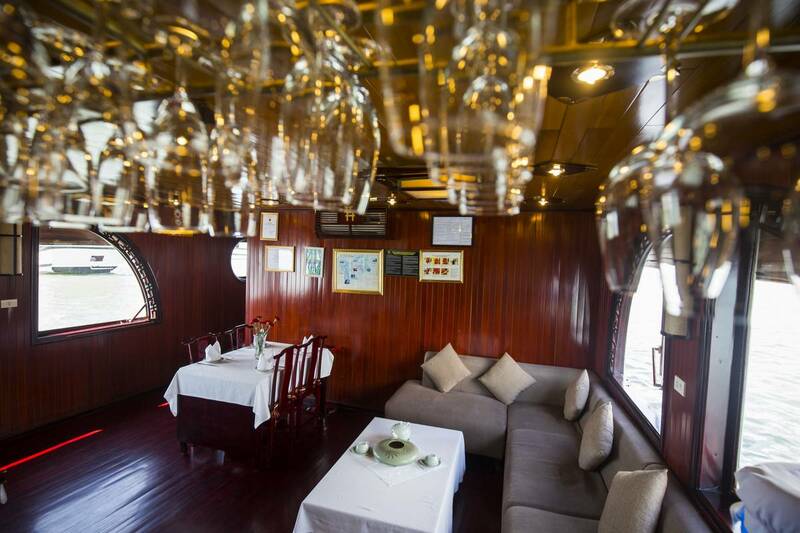 The traditional boat features both a spacious outdoor dining area on the second floor and a warm indoor restaurant, added by second floor sundeck for the best bay view, relaxing lounge, cabins, other functional area (fully equipped bathroom, luggage area…) and a cozy spa to serve you in comfort. 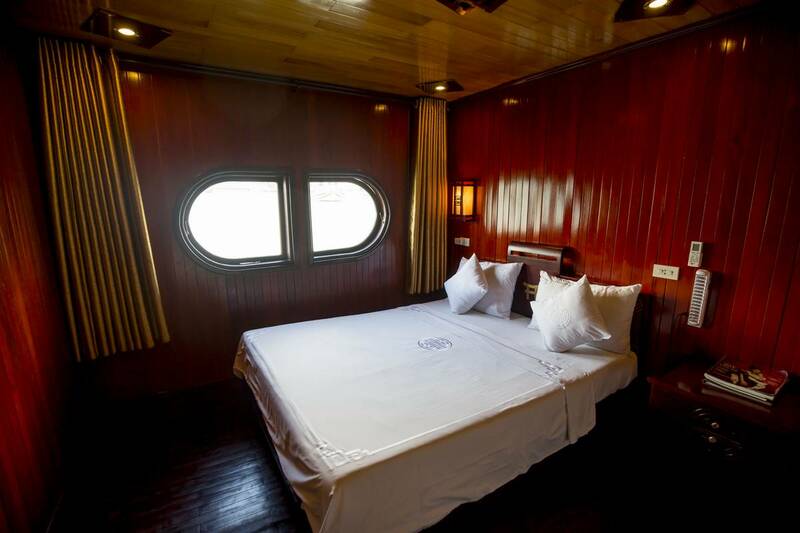 The boat is well designed and can accommodate even for an overnight cruise trip. 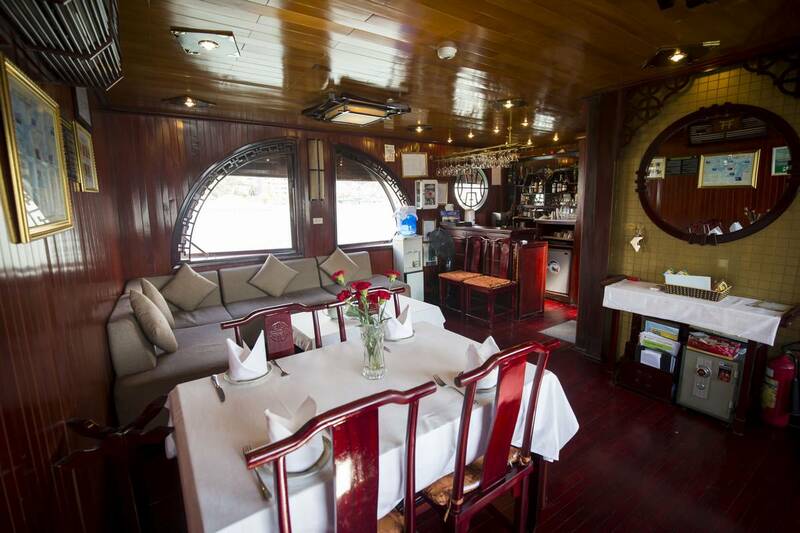 Thus, just in a day excursion, its facility and service must fulfill all of your needs.